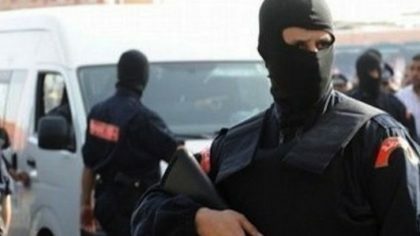 Three French nationals, including one of Algerian origin, were arrested Monday (Feb. 11) in Salé, Rabat’s twin city, for their alleged involvement in the financing of terrorism and for links with fighters operating in Syria and Iraq. Investigations revealed that the suspects have forged close ties with fighters of the Islamic State terror group (ISIS), operating in Syria and Iraq, the General Directorate of Territorial Surveillance (DGST) said in a statement. The defendants are suspected of involvement in fundraising for the benefit of extremist circles that finance terrorist operations, the statement said. Last Wednesday, elements of the National brigade of the Judicial Police (BNPJ) arrested in Casablanca an Iraqi national also suspected of fund-raising for the benefit of jihadists operating in Syria and Iraq. The suspect, identified as A. A. M, was a company manager, who used intermediaries or messengers to smuggle large sums of foreign currency out of Morocco. ISIS has lost ground in both Iraq and Syria. In December 2017, Iraq declared victory over the group following three years of fierce fighting. Last month, US President announced the gradual withdrawal of American forces from Syria upon declaring the group defeated.